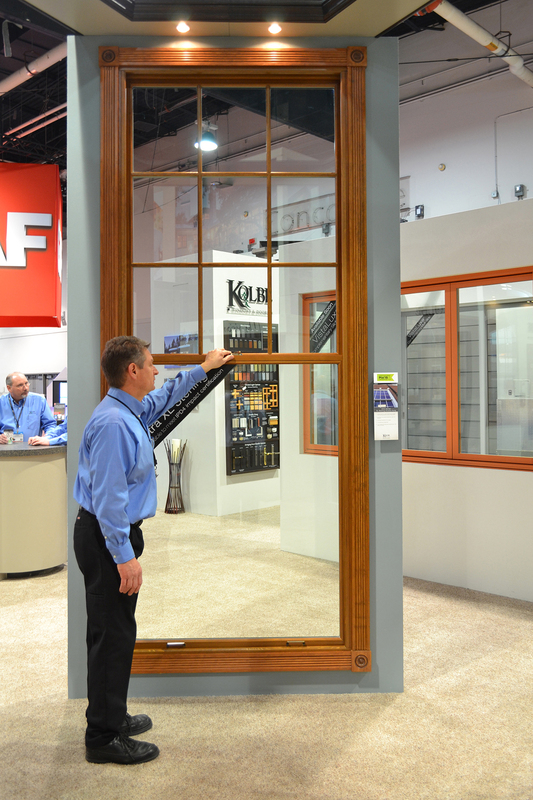 On display at the AIA National Convention in booth #2429, Kolbe demonstrates a new type of double hung locking hardware. In addition to the Signature sash lock, Kolbe now offers a spoon sash lock that was specially designed to meet the old world aesthetic of historical renovation projects. "At Kolbe, we're always looking to expand the options available to architects," says Lance Premeau, Kolbe's product and market manager. "Every detail of the window is important, and this new sash lock option is another example of how our windows can be completely tailored to fit the aesthetics of the building in which they are being installed." The new spoon sash lock is shown at the AIA National Convention Expo on an Ultra Series XL Sterling double hung. This display hardware has an Antique Brass finish, which is one of eight available finishes. A dual-positioning lever allows the sash to be unlocked and tilted in for cleaning. In addition to the XL Sterling double hung, the new lock option is also available on Heritage and Ultra Series Sterling double hungs.